Live-X REVENGE looks a lot like LEVIATHAN, but that is where resemblance stops. 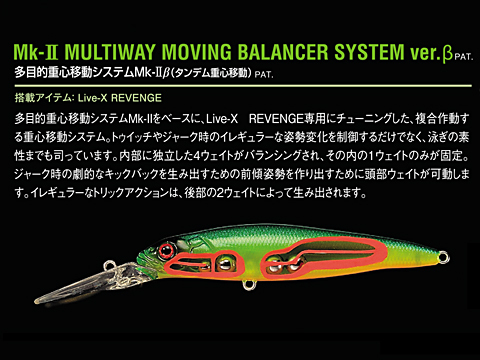 Slightly more slender than LEVIATHAN,REVENGE`s actions are controlled by a completely new balancer system. 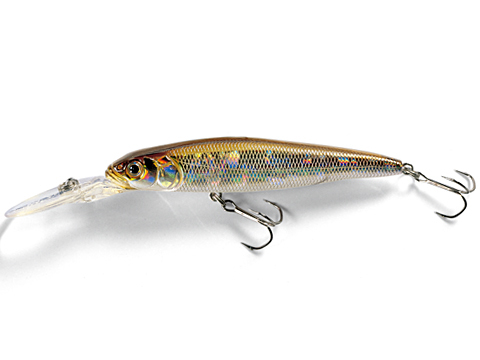 REVENGE`s diving range is between 6 and 10 feet, the most frequently used range, and shallower than LEVIATHAN. In a way, REVENGE is an easier and handier bait to use than LEVIATHAN. 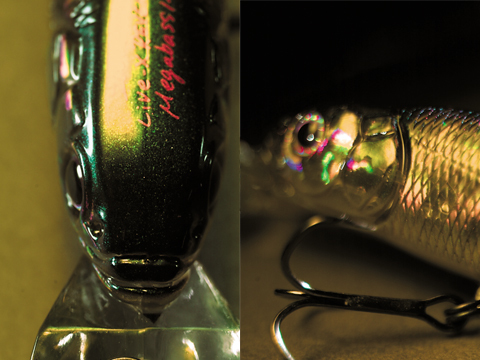 Also, REVENGE comes with MEGABASS original GUANIUM finish.